The figure below is an Arbelos, which means shoemaker's knife in Greek. The grey circle is the Inscribed Circle of the Arbelos. Drag the blue points. 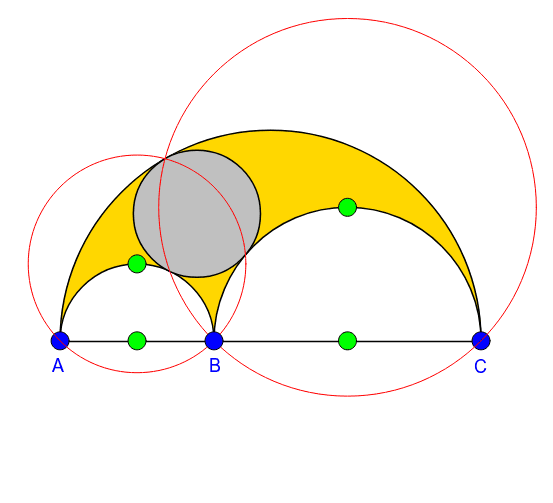 The red circles suggest a way to construct the inscribed circle. How should the inscribed circle be constructed?